The spotlight series brings to light authors’ approaches to writing for young readers and the secrets to their success. In this edition, Jennifer Donnelly will tell us her secrets to writing award winners, a series of novels, and relevant historical fiction. 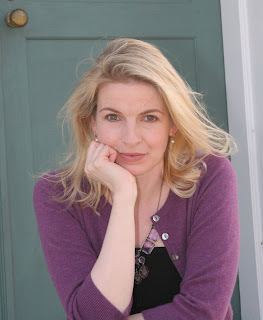 Donnelly is the author of many books for young adults, including the popular Tea Rose and Waterfire Saga series. Although adept at both fantasy and historically based fiction, she is probably best known for A Northern Light, which won the 2003 Carnegie Medal for outstanding YA book of the year. Welcome, Jennifer! It’s a treat to speak with such a prolific author about the craft of writing for young adult readers. JD: Thank you, Chris. My pleasure! Both A Northern Light and Revolution won many awards and were named to several annual book lists. What do these novels share in common? Is there a secret ingredient in both of their recipes? JD: I hope that what the books share is heart. Emotion is hugely important to me. It’s powerful, transformative stuff. I think it’s what we humans are made of, every bit as much as flesh and bone. I want my stories to make readers feel for the characters, and feel for themselves. That can’t happen if the emotions aren’t engaged. You’ve also had success with both the Tea Rose and Waterfire Saga series. What are the challenges to writing a series versus a stand-alone novel? JD: I think the biggest challenge with writing a series is making each book complete and satisfying in itself, but also making it take its proper place in the bigger story. 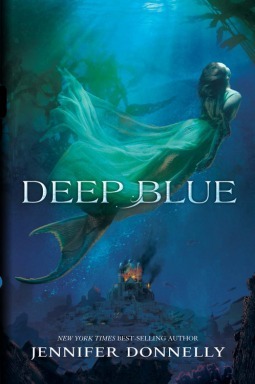 In the Waterfire Saga, for example, each book advances the main story arc, which is a quest to save the seas from an ancient evil – a monster named Abbadon, but each book must also follow specific characters as they face their inner monsters, and (hopefully) change and grow through their trials. In all four books, I needed to balance these huge, shattering geopolitical events that take place in the outer world: assassinations, invasions, battles – with events that are small and personal, yet also shattering for the characters experiencing them – the loss of a parent, a first love, a betrayal. The balancing act is hard and it has, at times, made me rip my hair out! You’ve written several books placed in past times. What do you find are the advantages involved in writing historical rather than contemporary novels? JD: The main advantage, for me, is a huge passion for my subject. I truly love history, and writing historical novels means I get to spend long stretches of time in the past. I love it when a new idea’s sparking and the game’s afoot, and I get to chase it through the centuries. 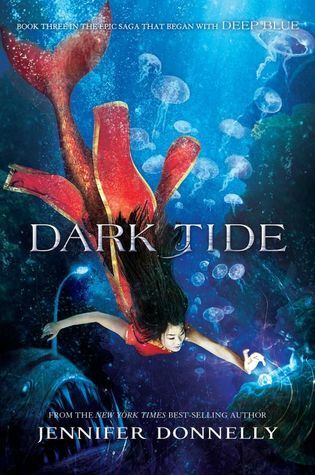 Your latest book, Dark Tide, the third book in the Waterfire Saga, is an enchanting fantasy novel. What was different about writing fantasy from historical fiction? JD: Thank you! The big difference is that you can make it all up – which was fun, but also scary. The realization kind of paralyzed me when I first started writing the Waterfire books. It was almost as if I had too much freedom. But when I stopped hyperventilating, I realized that even a fantasy world is subject to logic, common sense, and rules, and that I just had to figure out what they were. JD: I desperately want to hold hands with an octopus. They are smart, emotional, physically amazing creatures and I would love to interact with one. JD: I’m working on the fourth and final Waterfire book – SEA SPELL (it’ll be out in May 2016), and I can’t say too much about it yet, but it’s looking like there might be one or two pretty stunning betrayals for our heroines to contend with! Thanks for such an interesting interview, Jennifer! We’ll keep an eye out for Sea Spell this spring and look forward to discovering what those intriguing betrayals are all about. And here’s hoping you get to play with an octopus very soon, too. All the best, Chris Brandon Whitaker! Looking forward to Sea Spell--perhaps there's an octopus or two in it! I love the fact that the secret to your bestsellers is heart and emotion! Me, too, Tina! No doubt that's probably why so many people love her books.